Todd Swank's Diary Entry for March 22, 2015. 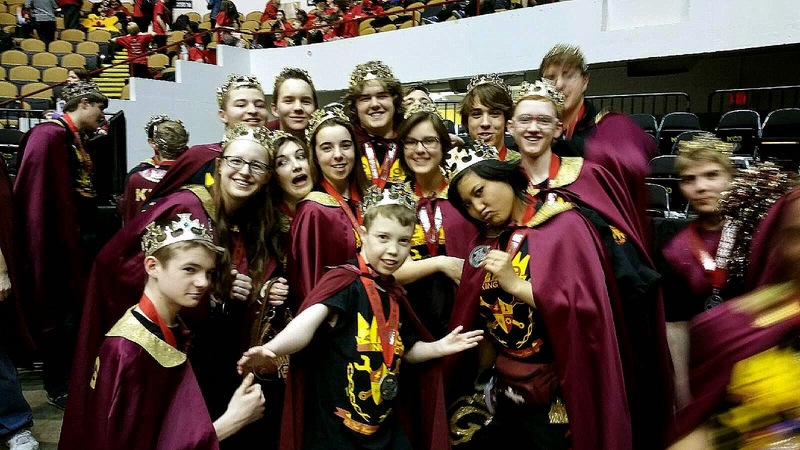 This weekend, we traveled to Milwaukee, Wisconsin for the Wisconsin regional FRC robotics tournament. It was held at the UW-Milwaukee Panther arena. They also have roller derby there some times. We stayed at the Milwaukee Hyatt Regency across the street. I always get a little freaked out with these hotels with the open hallways all overlooking the lobby far below. But they are really cool as long as you can contain your fear of heights. The best part of the hotel was the glass elevators. All sorts of photo possibilities were available to me. We ate at George Webb restaurant for breakfast which was really good. I like bacon! At night, we hung out with a whole bunch of really cool parents of other robotics kids. We wandered through downtown Milwaukee and stumbled across this bronze statue of Fonzie. Aaaaayyyyy!!! We went to an underground bar called the Safe House which is a spy bar that's hidden in the shadows of an alley. You have to know the secret password to get in otherwise they make you perform several humiliating acts to be admitted. Little do you know, that your performance is being recorded and displayed to the people inside the bar! This is a photo of the monitor while our friend, Guy, is doing his best "Heads, Shoulders, Knees, and Toes" dance to get in to see us. He's very talented. 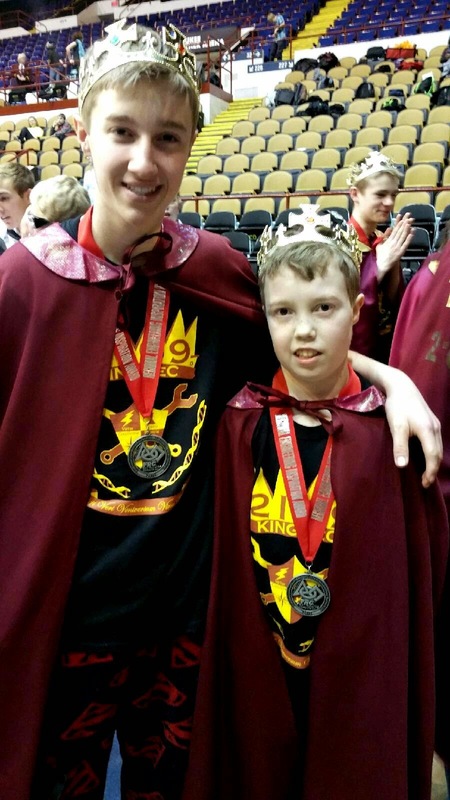 Of course, the reason we were there was to support the Prior Lake robotics team, KING TeC. Their robot did marvelous at this tournament and they literally missed going to the finals by less than a point! But they ended up with a third place finish out of 60 teams and then surprised us all when they were awarded with the Engineering Inspiration prize for the team. This award celebrates outstanding success in advancing respect and appreciation for engineering within a team's school and community. With this award, they are sponsored by none other than NASA to go to St. Louis, Missouri for the FRC Robotics World Championships! Needless to say, the kids were pretty excited about their good fortune! We're pretty proud of these guys as well as the entire KING TeC team! !